Due to the weight of the stainless steel hoops there is a certain pressure on to the bottom. Furthermore current and waves cause some movement and friction which wares off the mounting twine after a period of time. 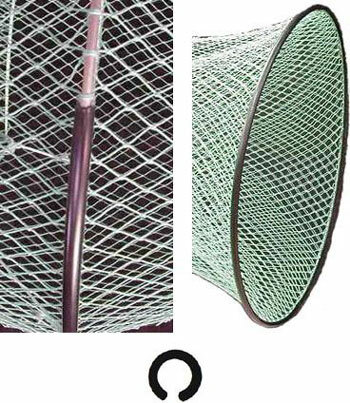 This PP-protection cover can be cut to the required length and be clipped on the lower part or the whole hoop without any additional fixation.